26 people of those who died in the Smolensk plane crash have been identified by their relatives, who have come to Moscow. The bodies have been flown to the Russian capital from the accident site by helicopter. Visa restrictions for all of the relatives have been lifted by the Russian government. As Ria Novosti reports, there is none of the necessary equipment for DNA tests in Smolensk. Also, under Russian law identification should take place on Russian territory. Thus the decision was made to transfer the bodies to Moscow. 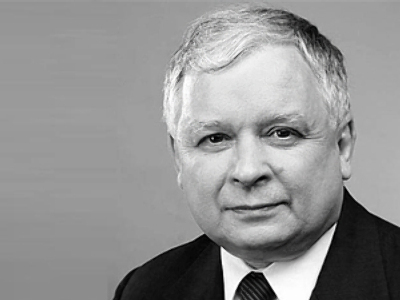 The only exception is President Lech Kaczynski, who was identified by the late president’s twin brother in Smolensk and his remains will soon be flown to Warsaw. Jaroslaw Kaczynski refused to make any comments to the media. The first identified passengers are those whose bodies were not severely mutilated and also those whose IDs have been found. The identification of the others will be more difficult and take more time, says Russia’s Investigative Committee. A team of 37 investigators, 45 forensic experts and criminal lawyers are involved in the work. After the tough task of identification, the relatives can travel to the site of the tragedy to see the place where their loved ones died and lay flowers. An emergency response center has been set up near the site of the tragedy. Hotel rooms have been booked for them in both Moscow and Smolensk. The management of the Renaissance Hotel in Moscow say they have also reserved special rooms for providing medical and psychological aid. “We’re providing these rooms and services for free to support those affected by the tragedy,” said manager Maria Vasilieva. Russian Prime Minister Vladimir Putin arrived in Smolensk on Saturday to personally supervise the investigation. Emergencies Minister Sergey Shoigu, Vice President Sergey Ivanov and other top Russian officials are also there to oversee the government’s response following the crash. Polish Prime Minister Donald Tusk and the President’s twin brother, chairman of the Law and Justice Party Jaroslaw Kaczynski, also visited the site. Tusk and Jaroslaw Kaczinsky traveled by plane to Vitebsk in Belarus and then arrived in Smolensk by car, Itar-Tass reported. The Russian and Polish prime ministers laid flowers at the crash site. A group of Polish experts, including Defense Ministry representatives and civil aviation specialists, have also arrived at the scene. Russia, as well as Poland, is commemorating the victims of the plane crash. Monday has been declared an official day of mourning in Russia. People continue to bring flowers and light candles near the Polish embassy in Moscow. Many are sharing their grief at the Catholic cathedral in the capital. The head of Russia's Orthodox Church, Patriarch Kirill, has said it will be commemorating the victims.